Another match fixing scandal has hit the esports world. Less than a week after revelations of match-fixing among Filipino Dota 2 teams, rumors of similar misdeeds were confirmed today in ESL’s Pro Series Counter-Strike league. At the center of the scandal is Polish team Alsen. Rumors began to fly earlier in the day when a user posted on the Steam community forum for CSGOLounge, the popular betting website for Counter-Strike: Global Offensive, that the fix was in for an upcoming match between Alsen and fellow Polish team Eliminacja. Eliminacja came into the match with a winless record in their six games played, included a lopsided loss to Alsen. Meanwhile, their opponents were sitting comfortably among the top four teams to qualify for the league’s season-ending playoff. CSGOLounge listed odds for the match that reflected the apparent disparity between the two teams. Alsen were 81 percent favorites, meaning that a bet in favor of Eliminacja would provide odds of better than 4:1. Posts on the website’s Steam community indicated that multiple players in Alsen, as well as friends of the team, were betting heavily on their own opponents, Eliminacja. Once the match was completed and Eliminacja had secured an upset victory by a margin of 16-10, scrutiny intensified. In responding to intensifying demands for answers and action, CSGOLounge took to social media to confirm that the situation was a “322;” the number representing a team throwing a match, named for the amount of money won by Dota 2 player Aleksey “Solo” Berezin when he infamously bet on his opponent before losing a game. CSGOLounge gathered evidence to support their claim and submitted it to news website HLTV.org, which made the information public earlier today. The evidence shows three Alsen players, Damian “Diamon” Zarski, Michael “bck” Lis, and Jakub “kub” Pamula betting on Eliminacja, with Zarksi using multiple accounts to do so. 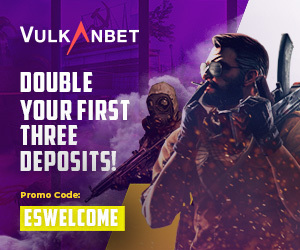 Also notable is the implication that two players from another of Poland’s top Counter-Strike teams, ESC Gaming, bet on the match with the knowledge that Alsen would be throwing the game. Those two players were Karol “Rallen” Radowicz and Mikolaj “mouz” Karolewski. Combined, winnings from the bets total to several thousand dollars. Rumors continue to persist of further wrongdoing. Zarksi took to a local Polish forum to say that “half of all teams do like this,” implying knowledge of significantly more teams and players being involved in match fixing. At the same time, allegations have continued to trickle on across multiple forums and communities regarding various Polish players who may have been involved in the scandal. Adding to the confusion, the Alsen organization posted on the team’s official Facebook page an implication that the team’s “rivals” may have somehow sabotaged Alsen. “We are very unhappy with the fact that most people blame our organization, which is not guilty of anything,” said Pawel Watemborski, the team’s manager. The Electronic Sports League has yet to offer comment on how they will handle the news.